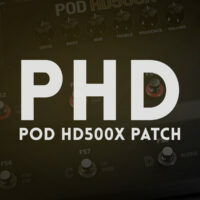 I’ve noticed a few people mentioning that this patch overloads the DSP on their HD500x’s. I’ve figured out what the issue is. Nick and I (Brian) both use this patch on our PODs, and we are both running the 1.0 firmware version of the flash memory. When I updated to the latest (1.32) version, the patch overloaded the DSP. I downgraded back to 1.0 and everything worked fine. So if you’d like to use the patch, there are a couple options you could do. First, you could remove one of the effects from the patch. Personally, I’d probably recommend removing the boost comp, as it’s the effect I would imagine most people would use the least. The other option would be to downgrade your POD to the 1.0 firmware of the flash memory. Our PODs have been functioning perfectly on the 1.0 firmware. This is unfortunate. I’m guessing that Line 6 is using some of the processing power to do some other behind the scenes processing with the latest firmware, which leaves less DSP available for making patches. Hall Reverb (FS6) – this is meant to be an always on type of reverb. It’s set pretty low and adds a bit of depth to the tone. We like to keep the Vintage Preamp and Hall reverb on all the time. The Vintage Pre just cleans up the sound and gives you a more articulate sound, while the reverb gives a sense of space. This is a dual amp patch, so you get some nice chime and bite from the Vox amp and the warm and articulate clean type sound that Fender is famous for. The amps are set so that if you dig in they will break up a bit. The drives are configured in a way that they can be stacked. Each drive is fairly low gain. The Classic Distortion cleans up really well and really sounds great when you dig into it. The screamer gives you classic tube screamer type tone. They really work well together, and you can get different flavors of drive with this setup. The two delays will give you a very cool washy delay sound, and they work well when stacked together. The dotted 8th delay is much more pristine, while the quarter note delay has a lot of modulation, which works well when paired with the reverbs. The volume pedal on the HD500x is mapped to the channel volumes of the amps, so you can control volume with the expression pedal even though there isn’t a volume pedal in the patch. This is a nice trick, but the one drawback is that the volume pedal will also turn off the volume of the repeats on the delays, so you don’t get trails with this. For this reason, this isn’t the patch you want to use for ambient swells – check out our PHD patch for that. 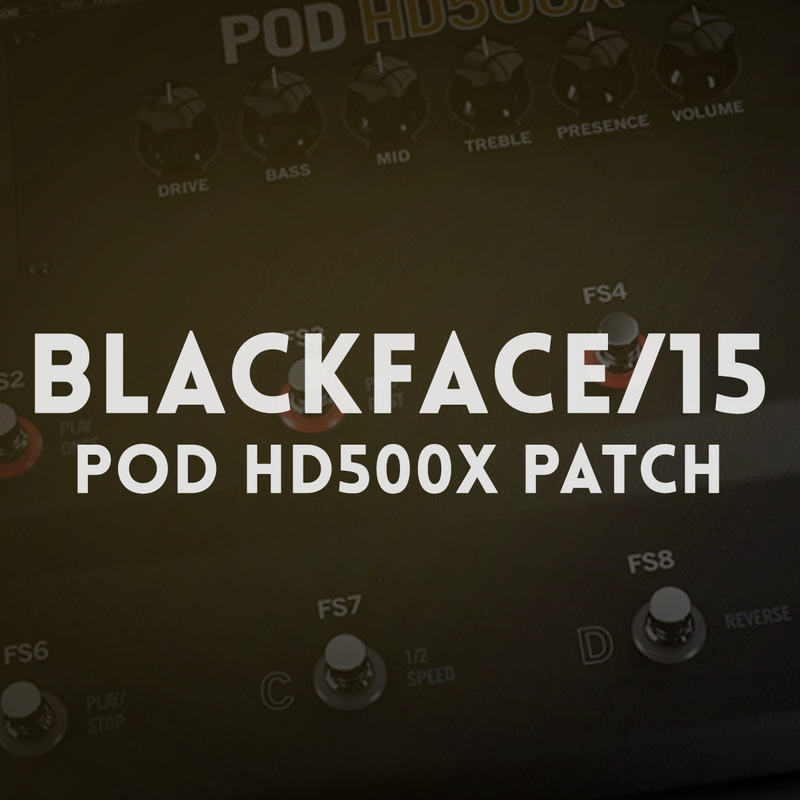 One thing we’ve noticed about the POD is that the patches can be very sensitive to different guitars and pickup types. We created this patch with a Mexican made Fender Telecaster with a humbucker in the neck (stock). If you’re playing a Strat, Les Paul, or even std Telecaster, you may need to tweak this patch to get it sounding best. We first recommend making a copy of the patch, and then editing the copy. Start with the amp settings. Make sure the drive is set so that the amp breaks up a bit when you play hard. This is a very important factor in this patch. From there, change the EQ to your taste and to your room. The other settings should be fairly universal. Finally, change the footswitch assignments so they fit your needs and your playing style. When you select the patch, by default all the drives and delays are turned off. Simply engage the footswitches to turn them on.